On Wednesday SEER Interactive did a 1 hour Q&A session on Google+. The topic was linkbuilding and they gave out some great strategies, tools, tips and more. This is a summary of some of the best content from the session. There are tons of them because there are so many different approaches to link building, competitive research, client analysis, and site auditing. It’s better to think about your process first. Know what is working for you and develop and perfect your process. Then find (or build) tools to complement that. Doing it the other way around, selecting a tool, then building process around that, will almost send you into tool mania. That’s the approach I take here at Seer: I spend weeks sitting with folks learning habits, how, and why people do things. Then I build tools to complement what they already do. I make it tools to help them work faster or more accurately. I even go to marketing meetups and developer meetups hoping to learn some different approach to the same problem then applying those solutions to the tools I make. Don’t focus on a specific “tool” – focus on a process and optimize it. Then find/create a tool that can automate that process as best as possible. Being extraordinary takes work – and gets links in return. Doing the same tactics everyone else does gets the same results as everyone else. To win, go one step further. What tools do you use for linkbuilding? 3rd party/In house? Sean Dawes – What tools do you use outside of +SEOmoz for link building? Have you built in house systems for maintaining relationships? Wil Reynolds – +Sean Dawes – I am a HUGE fan of +Majestic SEO after one day I realized that SEOmoz was missing links from our site to Distilled, I thought we would have been “good enough” to be deep crawled by SEOmoz, so I would constantly remind people – a lot of sites links are missing from SEOmoz. Abbott Shea – +Sean Dawes There are plenty of tools that I use for prospecting, most of them are used to just speed up a process that I can do manually. Some to note are the Check My Links plugin for checking for broken links, the Linkclump plugin for opening multiple links on the go, Ontolo for query building, some bookmarklets (see:http://www.seomoz.org/blog/some-nifty-seo-bookmarklets-to-make-you-more-efficient) – all of these just help to do linkbuilding faster. For relationship management we do keep running Google docs for past webmasters that we’ve worked with as well as using Raven. And for managing relationships on our own Boomerang for gmail does a great job of making sure emails don’t slip out of your inbox. Drew Allen – Talk about Link prospecting tools… Ontolo v. Buzzstream, etc. Any thoughts, recommends, etc.? Ethan Lyon – +Drew Allen We try to find the best elements of each (usually the free parts), then integrate them into our linkbuilding / content process. For instance, we use Ontolo’s Link Reviewer: http://bit.ly/y9WO8J, and Buzz Stream’s title, description, keyword extractor: http://bit.ly/kBl90Z. Raven and Authority Labs are great for tracking rankings / links. Usually we try to use parts of tool suites to solve specific problems. How do you communicate with clients to show progress? David Konigsberg – What tools do you use to inform clients of work you are performing ie basecamp ?? Wil Reynolds – Hey +David Konigsberg Thanks for asking… basecamp is the KEY for us, the ability to keep everything in one holding tank is key. But there are significant reports we have internally that we have built ourselves to pull from GA (especially) to help us speed up understanding our linking efforts. WE do also use +Raven Tools a decent amount. We used to use Harvest to track time, and I think I’ll want to move to toggl at some point in the future – link building can be such a black box / timesuck that without some kind of tool to connect time spent with outcomes you can be flying blind for AGES and not know people are working hard but not getting links. Does SEER have dedicated link builders or does everyone do it a % of their time? Sean Dawes – Do you have dedicated link builders at +SEER Interactive or is it part of an employee’s tasks for the clients they manage? If its a task about what % of time do you recommend someone spend on link building for an individual client. Just assume 100% of their time is spent on 1 client for this question’s sake. Curious more on time management. Adam Melson – +Sean Dawes Linkbuilding – if you can’t do basic linkbuilding you won’t be at SEER very long. Everyone linkbuilds but there are people who spend more time on it as a specialty vs others. In the past, we would expect everyone to be great at everything and it’s just not the way that things worked. I think everyone at SEER is capable to do most client deliverables, but some people are going to geek out and love diving into architecture issues. Some people are going to love writing & tweaking content. Some people are going to love to plot out ways to get links 24/7. We work with what people are naturally interested & good at, but everyone is expected to linkbuild for sure. As for time management, if a client has amazing content and is straight up getting beat on links, any reason we wouldn’t spend a majority if not all of our time linkbuilding? We don’t want to burn anyone out on one linking task for several days, but if we’ve identified that we’re lacking in links (and maybe a certain type, competitive research is absolutely necessary vs throwing links against a wall as a solution), we’re going to get links. I don’t think anyone here spends 90% of time linking, but we do have go to people for linking brainstorms & help. Why Toggl vs Harvest for time tracking? Jordan Godbey – Why Toggl vs Harvest? Wil Reynolds – +Jordan Godbey Once you get to a LOT of categories to get more granular, scrolling through the dropdowns is a complete pain, versus typing in what you are working on and it autofills. Same for Client load, once you get to a lot of clients, having to scroll is really painful, its a small difference. Also I think Toggl reporting is stronger. What are some low hanging fruits in link building? Milosz Pekala – What are some of the low hanging fruits in link building? Are there any directories/forums that are still useful and if a link is a no-follow do you dismiss it all together or just give it a little less love like a distant nephew? Adam Melson – +Milosz Pekala I know Allie is rockin out a full answer to your question, but for nofollows, I know we just kicked out a strategy for one client that is almost exclusively nofollows, but those are providing the traffic they need to stay in business. Depending on what you need them for, nofollows absolutely have value. Allison Brown – +Milosz Pekala It depends on what type of client you’re working with and what assets they have. We view low hanging fruit as taking things they’re already doing as a company and turning those into links. Do they have a Twitter handle? Submit them to Twitter directory sites. What city are they based in? Check for sites that list local businesses in that area. Ask questions about their employees. Where did they go to school? See if their colleges feature alumni spotlights. Are they involved with any charities? Try to get a link on those sites. Are they a start up? There are tons of sites that profile start ups or feature company profiles in general. Do they have any YouTube videos previously made? Transcribe them and use them as submissions to article sites. When we take on a new client, one of the first things we do is ask them tons of questions so we can make sure we’re hitting all of these easy opportunities. Visiting your client’s workplace can also be a huge help in spotting some easy linking opportunities you may otherwise miss. Wil has a great story of when he went to a client’s warehouse, saw a pair of dusty size 10 snowboarding boots they couldn’t get rid of, sent a few Tweets and found a blogger who was dying for a new pair who agreed to do a review of the product, all within a few minutes. In terms of nofollowed links, I generally focus my time and efforts on links that I know will pass value. Hope this helps! Matt Satell – What are the keys to a successful linkbuilding campaign using awards? Wil Reynolds – +Matt Satell we have not used a TON of awards, so maybe someone else here can chime in. I did hear from someone at some conference that actually giving PHYSICAL awards, like a plaque or something more tongue in cheek like a small wagon or something significantly increased the number of links / mentions. Ethan Lyon – +Matt Satell Awards — depending on your space — are not as effective as they used to be. If you’re trying to duplicate an awards strategy of one of your competitors, they likely reached out to the same people you’re going to reach out to so the question then becomes, how many awards to these bloggers need? They start to catch on and either don’t respond or removed the award badge (coming from personal experience). That doesn’t mean it won’t work. To Wil’s point, legitimizing awards is becoming increasingly important. Getting an award badge from a lead gen site isn’t all that amazing. Getting a physical award is much more appealing and legitimate. Getting an award from an organization (could be a trade org you start) is even better! So I think — anecdotally — that bloggers are starting to catch on to lazy awards strategies but think there’s an opportunity for clients that want to go the extra mile. You should definitely hit up @fontanaRJ for more insight. Really smart dude when it comes to awards. How does SEER insure success with ‘passive’ link bait? Jordan Godbey – What strategy does SEER use for creating “passive” link bait that insures success, without crossing fingers and hoping for links? What do you do differently vs when doing manual outreach/linkbuilding? Wil Reynolds – +Jordan Godbey – we have a few of those queued up +Adam Melson pioneered our scholarship link building, which we have a great process on that we know will build links from quality sites. I think everyone needs to have a few like that, right? We ask clients about 80 questions to start off every project, everything from do they have pets in the office to how they recruit interns, each one has a connection to a way that we are 50-95% sure we can get links from it. Abbott Shea – +Jordan Godbey Look at what your competitors are doing first and foremost. Build link bait around things that have gotten them links in the past is a good way to make something that you are confident will work and also having examples of where competitors have built something similar and gotten links is a good way to get clients to see the potential in it. I think from there you create a strategy where you tier out who you reach out to and how, i.e higher quality prospects might get personalized emails vs the lower quality prospects where you might send template emails out to. Hope that helps! Ethan Lyon – +Jordan Godbey It’s a combination. We will review / help build the client’s linkable asset, then identify different linking audiences that would be interested in the linkable sset. Once we have our linking audience, we identify their need states and answer why they would want to link to the asset. After we’ve figured out messaging to each audience, we’ll reach out, see the response rate, then identify the most receptive linking audience and do a lot more research to find more people like them and finally, finish up outreach. However, that doesn’t answer all of your question. The above process is very manual and necessary because we are exhausting all of our options. It’s not all that scalable though so we in some instances will leverage influencers to promote creative assets. That can mean contests or some other way to get our linkable asset in front of their audiences. That is a lot more scalable but the quality of links is likely not going to be a high as manual outreach because manual outreach is a more controlled environment. At the end of the day, there’s no “sure thing” when you’re promoting a linkable asset. Not all linking campaigns are successful so it’s important to do a post mortem to identify what went right and what needs to change next time. How do you scale the transition from prospecting to outreach? Jon Cooper – What techniques do you guys use to scale the transition from prospecting to outreach? (i.e. finding contacts, categorizing prospects, organizing prospect data, etc.). Adam Melson – +Jon Cooper Thanks for the questions and it’s something we have to do daily. I think for starters, a priority needs to be created to tackle the prospects. We can drop these into Google docs and through using the seomoz API we can pull in data to prioritize them based on something like domain authority or back links. We are extremely transparent with our clients about who we reach out to. They might already have a relationship with one of our opportunities and it would be confusing to start a new conversation with them. While I provided a little bit of an answer above, I have to also say there really isn’t a cover all answer for going from prospecting to outreach. If we’re working with a small set of authority opportunities, we’re going to take an extreme amount of time to research them, what they like, what’s worked in the past to get a link from them. We’ll have to consider if it takes a well crafted letter/conversation or some type of incentive. One discovery when doing larger outreach to somewhat quality sites was actually calling them blew up our conversion rate. Converting opportunities across all clients & all outreach at 5-7% is something we’ll take any day. When calling & speaking with someone, link conversion rates went up to 20%. Is it worth it to hire an actor for a day to read people on the other line &get those links? Is it worth your own time to call & make a connection or conversation? Lastly, I think I skipped the “finding” part of your question. All of us discover links in different ways. We may overlap on 50% of the ways we’d find them, but Wil might dig into followerwonk data mining while I might use an inurl: search. Ethan might grab an OSE export & mash that up with other APIs. We also have a rule that if you spend 15-20 minutes and really aren’t finding queries that bring back opps, backlink research bringing back opps, whatever your method might be, stop doing it and make adjustments. Same thing with outreach. If we go out & pitch 100 sites and only 2 respond, there’s probably something wrong with our pitch, our offering or the type of sites we’re contacting. How do you tailor your services to a publisher/media segment vs an ecommerce client? Tre Jones – Do you work with any publishers/media companies? How do you tailor your services to this segment versus a more traditional SEO client in eCommerce? Wil Reynolds – +Tre Jones SO…we do. And its a completely different animal – first off+Mark Lavoritano is a pro at this but he’s not on with us today so I’ll do my best. Traditional concepts of “what keywords do you want to rank well for” are completely thrown out of the window…well not entirely but partially. Since a lot of what we are trying to do is to increase pageviews – its not about ranking well for one keyword but helping every piece of content rank well for a LOT of keywords. It’s often about architecting the “buckets” and how link equity flows to those buckets so each article / piece of content written has the highest likelihood of ranking well. For our REALLY big publishers, we know we can’t tweak every post that goes out. So its about empowering their teams to use the tools to help them write in a way that better connects with what people are seeking (from a theme standpoint) and the keywords they type in from a what words to use in the piece standpoint. Linkbuilding really happens in the buckets, trying to build links to the big “buckets” helps that link juice to flow down to the individual pages. Does that make sense? Again this isn’t about rankings, its about driving pageviews from search engines, so if a client knows value per pageview, of lack of inventory sold (used for in house ads) they can create a value to that, and then determine an ROI for the cost of involving us. GREAT FREAKING QUESTION! Thanks for asking. Mike Wilton – What are the best opportunities for small businesses or SEO’s that are short on time for prospecting and budget to develop content, etc. when it comes to link building? Does it all come down to strong linkable assets, or are there some low hanging opportunities that are easy for these types to go after. Abbott Shea – +Mike Wilton Good question. If you don’t have the time to create content, it may also be difficult to create a resource and also a means to make sure that resource gets links. I think the best thing you can do is leverage some of those things that your small business does that can get you links and you haven’t utilized yet. Relationships on the vendor / client side – you could see if they link out to other businesses like yours. Relationships with freelancers / agencies that you’ve worked with – you can see if they would be willing to link back to you for a testimonial. Charities that you support – see if they will link back to you for your work / contributions. Things like that. Is it bad to build links to a vanilla site you own, then redirect it to your site? Shahbaz Ahmed – Hi, in a seminar Will mentioned a way to grab some useful links. you make your industry related blog make some good content gather good content then grab some good link and BOOM BOOM! redirect it to your site. My question is that. suppose I have two website A and B. I exchange some links with B website from other webmasters. I am saying exchange and then I redirect them to website A. Does it count as cloak or spam ? if it is a spam so what sort of plenty site A and B will face ? Wil Reynolds – +Shahbaz Ahmed Good question…as long as you are doing it for the “right” reasons that is fine. I see tons of reasons why building links to one site and eventually redirecting it would be fine. If you do it purely to deceive someone its bad. I feel like +Matt Cutts saying that but its true. If I am doing outreach for site A and promoting it (linking, email, social whatever) and someone comes along and buys my site, they could keep it up or redirect it. (This happens with corporate mergers all the time). But if I am building l;inks to a site I have set up just to get links from someone so I can 301 redirect it later w/o them knowing that is crappy and shady if you ask me. What next on Google’s radar as far as what links they will devalue? Charles Sipe – What types of links will Google go after next to reduce manipulation? Are guest blog links safe from devaluation? Adam Melson – +Charles Sipe What links do I wish they’d go after next or which ones do I think ;-). We see a ton of spblog spam that works for competitors. Relevant posts, but the next post might be about bicycles, the one after that is about mortgages, then wedge heels, etc. I might put my money on that for the next type to get hit. As for guest posts, if you’re submitting guest posts to sites like I described above, then I do not think they’re safe from devaluation. If you’re finding relevant sites, through & through, that relate to your industry, are publishing great content, get linked to from credible places, then I don’t ever think those will take a hit because they’re legitimate. Posts from legitimate people are quality, right? One caveat, just don’t shove 30 anchor text links in and ruin a guest post. Be nice and ask for something like 2, a homepage and a deep. I hope you liked the post, I’m sure SEER will be doing more Q&A in the future, so don’t worry if you missed this one. Wil mentioned something about having a session on analytics, which I’m looking forward too — I’m sure it will be packed with a ton of value. To make sure you know about the next Q&A and have a chance to ask your questions, follow SEER Interactive on Twitter, Facebook and on Google+. 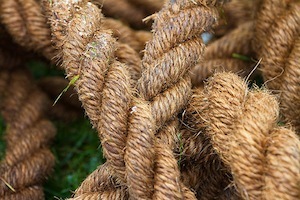 Do you have any other questions that didn’t get asked about link building? Put them below in the comments! Jordan, thank for organizing the comments from this past Q +A session! This is great!